Apple’s flagship Digital Audio Workstation (DAW), Logic 9 (in ‘Pro/Studio’ and ‘Express’ versions), comes with a comprehensive manual. It’s well indexed; it’s available to read, consult and work from electronically— as a PDF. At almost 1,300 pages, it ought to be good. That it’s much more substantial than many Apple manuals is a blessing given the complexity of Logic 9, an Apple Pro Applications product which underwent three minor revisions this fall. Nevertheless, resources to enhance, supplement, complement and extend the Logic 9 manual are beginning to appear. There are half a dozen websites with training videos, easily as many books, and now DVDs. These were all evaluated for this survey, which presents a review of the best. are reasonably priced; which offer the best value for money. The advantage of (on-line and DVD) video tutorials, such as the series (“Logic Pro 9 Essential Training”) at lynda.com (membership required) and Logic 9 Explained (see below) is that you can see what’s supposed to happen as you follow along — in real time if you like, with Logic running. The advantage of a book is that you have hard copy with an index for safe-keeping indefinitely. Each has its merits. At this point two comparable books, not surveyed this time, must be mentioned as also offering excellent value for money and outstanding coverage of Logic 9. First Logic Pro 9 Power! : The Comprehensive Guide by Kevin Anker and Orren Merton (ISBN-10: 1435456122 ISBN-13: 978-1435456129) gives a great, clear and readable overview of most aspects of Logic 9 in its 650+ pages. And the even more formidable Logic Pro 9: Audio and Music Production by Mark Cousins and Russ Hepworth-Sawyer (ISBN-10: 0240521935 ISBN-13: 978-0240521930); this book’s superb color illustrations, pace and comprehensiveness make it a real winner as well; it’s shorter at 400 or so pages, but manages to be both comprehensive and highly usable. Most of the material in the five other products considered here can be used just as well with Logic Pro/Studio 9 as with Logic 9 Express. In cases where there is a difference, the resources reviewed here clearly mention and/or account for it. One of the challenges of Logic is its complexity, its steep learning curve. The fact that you can easily and quickly do a few things with it badly; that you may run a real risk of getting stuck with that level of comfort and competence and perhaps never get anywhere near realizing even a tenth of the software’s enormous power unless you work hard! This is where a really good teacher comes in, someone who knows the suite inside out and can anticipate what you will want to do next and how best to do it. All those responsible for the resources here examined fall fairly and squarely into that category. Not least David Dvorin with Robert Brock, co-authors of the excellent Peachpit title in the Apple Pro Training Series, Logic Pro 9 Advanced Music Production. They pick up where Logic Pro 9 and Logic Express 9 by David Nahmani (ISBN-10: 0-321-63680-5 ISBN-13: 978-0-321-63680-5) leave off. The later title covers five main areas in 575 easy to follow, attractively-produced and expertly-illustrated pages. These are: Workflow setup and time and pitch (about 16% of the book’s substantive pages); Software instruments (16%); Editing (23%); Mixing (14%); and such advanced topics as Surround sound, MIDI processing, Notation and synching with movies as well as import/export from/to Pro Tools (31%). The merits of Dvorin and Brock’s carefully-constructed and meticulously-executed 17 chapters are that they make the process of walking you through sometimes complex processes in Logic as easy and understandable as any material otherwise available now. There is plenty of white space in the nicely-laid out pages of Logic Pro 9 Advanced Music Production with simple-to-follow conventions: it’s easy to read the book as you work along at your keyboard and screen. There’s a DVD containing all the lesson material, including (where appropriate) finished worked examples. The book is well-indexed and can lead, of course, to Apple Certification. In good pedagogical fashion, they explain what you are about to do, crucially, why, and how you will do it. The steps are numbered and never confuse: if step “5” is preparatory, such as… “5 – Zoom in on the cello region” there will never be a “Step 6” whose substance is “CTRL+Option-Drag” for that is one way to zoom in Logic. Nothing is left to chance. Otherwise the authors assume that you have memorized that technique. This is a high standard to which not all tutorials aspire. The producers of the Apple Pro Training do… and it pays off. Every step has obviously been checked and double-checked and very carefully proofed. Given the breadth of what has to be covered, this is exemplary. Nor are there seemingly endless lists of actions which are all perfectly sensible and can easily be completed, yet the purpose of which is never made clear. It would be an exaggeration to say that the words, “You will now…” are the most common in Logic Pro 9 Advanced Music Production; but not much of one! As you complete one lesson, you’re left enthusiastically waiting to begin the next, so unambiguous, well selected, sensibly sequenced and expertly illustrated (both metaphorically and with good, clear, color screenshots) was the current one. The fact that there are specially-prepared and cleanly-presented Logic files on the accompanying DVD for each lesson is also a great help, making things immediate in a way analogous to the video tutorial. Incidental techniques and procedures (such as working with locked screensets [pp. 21-23], backing up settings to MobileMe [41-42] and using Mixer Groups [351-354]) are introduced at just the right moment; they never hold up the flow of the substance and genuinely add to your confidence and sense of being in control. They’re dealt with in far greater depth than the term “Tips” would suggest they might be; yet they have the same usefulness. The tone of Dvorin and Brock’s writing avoids the patronizing, chatty, semi-amateur style which bedevils so much supporting writing these days. It’s punchy, to the point, elucidating and highly informative from start to finish. Another big advantage of this title is the wise choice of topics. In addition to useful sections and chapters on ways to streamline your workflow (always an issue with Logic because of its many at times interchangeable contextual, local and global menus and keystroke equivalents etc), Dvorin and Brock have chosen areas — like, particularly, the Environment [chapter 14] and the Score Editor [chapter 15] — that are not dealt with in depth by other resources. The authors’ aim really seems to be to take users from the useful starting point at which Logic Pro 9 and Logic Express 9 inevitably left off to being really very competent with the software. What’s more, they base their teaching on the principles of Logic, the underlying patterns in which it works — rather (thankfully) than adopting a purely algorithmic or “recipe” approach. They also give enough of an overview of how such parts of the software as the synthesizers and movie synching work to equip you well in seeking further guidance. Logic Pro 9 Tips and Tricks by Stephen Bennett is firmly in the “Missing Manual” mould. It’s built on three foundations: those which distinguish Logic 9 from earlier versions (such as the Flex tool); those aspects and features of the software which contribute to its immense power and huge range of capabilities, yet which might not immediately be obvious (such as the wealth of plug-ins, for a small effort in which there is a disproportionately rich payoff, and almost endless customizability); and those things which are achievable in more than one, several and even — at times — in many, different ways (such as using Logic’s interface and a variety of studio and postproduction techniques). Bennett is a seasoned Logic user with many years using and teaching the software to his credit — not to mention a clutch of books on Logic and related subjects. The material covered in the 189 substantive pages is divided into 10 major areas, none of them long: Setting up and optimization (5% of the book’s substance); Templates, Projects and back-ups (2%); Getting around (13%); Recording (20%); Plug-ins (10%); Workflow (19%); The Arrange “page” and editing (10%); Loops and fluid audio (2%); Mixing (15%); Mastering (4%) with two appendices and a useful index. There are over 100 individual themes, most of them packed with sub-sections on relevant or related topics. Given that Logic Pro 9 Tips and Tricks is neither a tutorial nor an in-depth reference book, these are well chosen. As you begin to work your way into any one segment, or indeed work through the various chapters at will, Bennett’s wisdom in deciding which ground is most worth covering is revealed in no uncertain way. Time after time a useful procedure, sequence, ruse, wrinkle, alternative or dodge is described in clear, unambiguous fashion almost invariably with annotated screen shots… how to select a window without giving it the input focus; the various ways to zoom and maximize mouse efficiency; the process buffers, judicious use of which can decrease latency; effective association of objects with colors; the advanced quantization controls; monitoring; and the parameter boxes. Nothing revolutionary or unavailable elsewhere — but all nuggets of technique which may be easy to overlook, forget or misunderstand. If you trust — and in large part you should — that Bennett has selected amongst the most useful, helpful, potentially confusing and/or effective aspects of Logic 9 to bring to your attention, then the remaining criterion on which the purchase of this very reasonably-priced book should be judged is how well and cogently he situates, exposes and illustrates each “Tip”, each “Trick”. The answer is by and large very well, Although a little small in places, the graphics all make a clear point each time; their captioning, commentary and referencing in the text is done well. Near the front of Logic Pro 9 Tips and Tricks are sections on system maintenance (repairing permissions etc). This should indicate that the book is aimed more at beginners than advanced users. It might be more accurate to say that it’s aimed at those new to either Logic and/or the Mac and its environment. To have jammed coverage of those two rich worlds into a single book and kept it readable would have been nigh impossible. Bennett has provided a good, handy, reliable and accessible introduction that will give the novice user who is thirsty to make the most of this world and who is prepared to work a real head’s start. Groove 3 provides tutorials and supporting material for a wealth of software; these include 15 series with 2 compendium bundles devoted to Logic. For the purposes of this survey “Logic 9 Explained” and “EXS24 In Action” were examined most closely. For under $50 and $30 respectively you get a suite of simple, well-constructed and easy-to-follow on-screen videos demonstrating a single aspect (or group of closely-related aspects) of Logic 9. They’re clearly narrated and presented in both cases by Logic 9 expert Eli Krantzberg. Each lesson lasts between five and twelve or so minutes and follows on logically from the previous one; where appropriate, more complex or detail-intensive topics are sensibly broken across multiple videos. Logic 9 is complicated, huge, vast! For videos like these to work, an expert has to know the software well enough to put the right things into the right relief; and transparently to tread more lightly over those aspects of controlling it which s/he knows will — in time — become second nature or self-explanatory. Krantzberg can, and does, do just that… time after time after time. No fumbling. Use of “retakes” only when they illustrate a point. Each time he does have to “skip” a control or workflow step, he explains why. And he’s invariably right! In other words this easy-to-understand narrator has the gift of knowing just which corners of the software might trip you up and which parts of it are to be “avoided”; that is, for instance, that there’s a quicker way to do something… Use the Zoom tool rather than the Zoom arrows in the Arrange window, for example. Don’t bother to learn the Erase tool: it’s there for compatibility with other GUI erase procedures, but there are so many other key shortcuts and contextualized menus to do the same thing just as quickly. He neither makes a meal of the relative proportions which he calmly assigns to all areas of the software which are addressed. Nor tries to “pull rank” by concealing anything which we could benefit from knowing. Groove 3 videos (which can either be downloaded, or viewed online) play in their own gPlayer, which is also available for PC. They present the material without screen clutter and with an inbuilt menu whose chapters correspond to the package you’ve bought. The sound is clear and the presentation tools (highlighting, zoom and foregrounding etc) are unobtrusive and really help you to follow what Krantzberg is saying. The majority of the other videos to help you with the basics of Logic were also sampled for the present survey. Those from Lynda.com were up to their usual standard; they tend to take a demonstration — rather than purely tutorial, or “follow along” — approach and suffer from a rather buggy bookmarking system (using the legacy asp web technology) which can make picking up where you last left off more time-consuming than it needs to be. The macProVideos were good. The shorter, snappier, videos produced by Logic Studio Training are also worth looking at; they are accessed on an annual fee basis and make a virtue out of the publishers’ premise that you don’t need to learn Logic in a linear fashion — hence no index or table of contents as such. There is also a set at Logic Café, a site with some impressive resources and a host of free downloads, offers and useful links, as well as an iPhone app to allow you to view their tutorials on the go. But those from Groove 3 stood out for the thought that has gone into structuring the series (the cross-referencing of menu items which were, for example, flagged in one video, picked up in a second, and referred to in a third); for the clarity and confidence of Eli Krantzberg’s delivery in particular; and for the selection and sequencing of topics appropriate to your experience of the software. All too often with screencasts those describing the software allow the casual immediacy of the medium to sanction sloppy, amateurish presentation… “Let me see, Why isn’t that coming up? Ah Yes, when you do this, you’ll need to have Type-ahead enabled; that’s what you’d see here if I would have [sic] done that…” etc. Not so in Groove 3’s videos. They are professional and polished without being either slick or rigid. Usually, for example, Krantzberg reminds us of the relevant points from the previous video, outlines what we’ll learn in the current one and appositely summarizes it at the end. Each video lasts between five and ten minutes according to subject matter. There are 40 videos in “Logic 9 Explained”. Definitely the place to start if you’re new to Logic and want really to get to grips with its essential building blocks. “EXS24 In Action” has 20; it’s a more complex subject — not one for beginners. But the material in this course is also covered extremely well. Although based on Logic 8, all the material in “EXS24 In Action” is relevant and appropriate for users of Logic 9. For comparison, and a different teaching approach, Groove 3’s “Logic 9 Tips & Tricks” (Volume 1) with Scott Griggs was sampled. His is a very different delivery style from that of Krantzberg… much more “down home” familiar (a register you’ll either warm to immediately for its colloquial extroversion; or find annoying). Yet he too clearly knows Logic very well indeed. Griggs, too, understands the common threads which make Logic 9 such a powerful musical resource; and in a way he exploits his “folksy” patter to push the points home both of the tip(s) that he’s concentrating on in any one lesson and its (their) commonality with corresponding, connected or otherwise relevant “tricks”. He positively delights in showing you several different, but functionally equivalent, methods to achieve the same result: very useful for beginners and for those who’ve grown used to their own ways of working in Logic 9 alike. Griggs is also good on the new features of this version; his tutorials would make a good guide to transitioning from Logic 8. Well worth a look — despite the rather self-conscious “presence” of his voice. If it is short, sensibly-selected, self-contained snippets and workflow tips that appeal, then the 30+ short videos in each of the two volumes of Groove 3’s “Logic Operator” (with Doug Zangar) at $39.99 each are likely to be helpful: they’re based on those features which originated in Logic 8 but are compatible with Logic 9. These, then, are the pick of the crop where online/downloadable video tutorials are concerned. You’ll gradually come to feel totally at home and in really good hands as you work your way through any of Groove 3’s painstakingly-conceived and constructed packages. This is the least ambitious book of the selection – despite focusing on Logic Pro. It’s a series of 32 short (half a dozen pages or so) tutorials grouped into four larger chapters of roughly equal length. They deal with: customizing Logic Pro 9; techniques for composing and editing; techniques for recording and mixing; integration of third-party hard- and software with Logic Pro 9. More restricted Going Pro with Logic Pro 9 may be; but it lacks neither focus nor direction. Even those already familiar with the software will surely find something new, different or unexpected. Or — our old friend — will find… another way to do something. For example, the very first tutorial covers templates… an area that’s easy to overlook but potentially as huge a time-saver and streamliner of workflow as templates are in, say, text editing. Similarly, tutorial 14 shows you how to create a tempo map from an audio file which lacks strong transients and adapt it to MIDI regions. Tutorial 31 shows you how to use the Vienna Instruments files (both locally and on their server) to create orchestral tracks. Once you’ve walked enough with Logic Pro 9 to be able to run, these are useful skills to acquire. They are also specialized and advanced routines. Extremely apposite if you already have a need but aren’t sure what to do. Perhaps even more helpful if you didn’t know that they could be done and are inspired to try them — or something similar — if you did not. On the other hand, it has to be said that Asher’s choice of these “Pro” tips, good though it is, remains his own and inevitably arbitrary; though far from random. And although working with those third party tools and add-ons which he’s chosen will often illustrate a more generally applicable principle or methodology, if you have no plans to use Pro Tools or an Akai MPC3000, for instance, those tutorials are of limited value. Significantly, Going Pro with Logic Pro 9 does an extremely good job of guiding you closely through complex procedures. The necessary “moves” to achieve each result are small, well-described and carefully illustrated (although some of the screenshots could be clearer). Where there are multiple possible results (or indeed parallel ways to do something), they are discussed, evaluated and described in such a way that you will not feel lost if you do not see what Asher sees. Many of the tutorials also have a “Considerations” section that looks at problems, variations and likely errors etc. Equally commendable is the author’s practice of describing what can actually happen if likely omissions or “variations” creep in — and how to get back to where you need to be. And, a rare gift, he tells you when to stop! You may safely assume that those topics which Asher highlights are very well covered, carefully introduced, appropriately illustrated and exhaustively dealt with. What will guide your buying decision is the relevance of which “pro tips” are included to your circumstances and Logic environment. At a minimum, there is likely to be $29.99 worth for all but the most advanced and experienced Logic Pro 9 users. Ideally, you should consult the table of contents (perhaps online at Amazon, for example) and see just how much the topics all appeal to you. If more than half, then this book is also for you. Cons: some of the illustrations a little fuzzy and crowded. The three products from Hal Leonard fill distinct and different needs, though what these are is not really clear from their titles. The DVDs alone cater for beginners (the instruction-based DVD, Logic Pro 9, 9781423475644), and for more advanced users (the DVD, Logic Pro 9, 9781423475651). All three represent good value for money at under $40 each. These resources from Hal Leonard are professionally produced and instill a sense of confidence in the learner that instructor/presenters know what they’re doing. In the case of the DVD-only products, Andrew Eisele, is clearly an expert — although he doesn’t usually retake the rare “fluffs” and mistakes in his delivery. For some, the informality as he works his way around a personal demonstration (it’s as if he’s gently demonstrating what Logic can do, rather than instructing as such) will be just as convincing as a heavily-scripted session. Others might wonder whether what he includes at any one juncture is planned, or arbitrary, ad hoc. A parallel concern is that for a beginner tutorial in 9781423475644, attention after just ten minutes to channel strip settings, auxes, buses and latency, might seem an odd priority when a beginner perhaps isn’t aware of tracks and regions. The advanced Level DVD, 9781423475651, covers the fundamentals of the synthesizers, Ultrabeat, ES1 and ES2, more advanced use of instruments, editors and plug-ins and advanced arrangement and mixing techniques. Additionally, Eisele throws in tips and tricks when they’re relevant as he’s found them useful during teaching. This DVD is three hours long. To balance any concern you may develop about the order in which some of the material is presented, you’re frequently advised that something alluded to will be “dealt with a bit later on.” And it always is. For anyone who learns slowly and/or has the need for a gentle, well-stepped warm bath into which to dip toe, foot and leg, these DVDs are a good place to start. They do lack the intensity and focus of Groove 3’s much more structured approach, though. The Logic 9 software package is complex. There can be no one way to become familiar with its features and functionality. Not one of all the resources covered in this survey chooses to take a single project and guide us rigorously through it from beginning to end, adding increased elaboration as the need arises. These tutorials from Hal Leonard, though, are less focused than the rest. On the other hand, to immerse yourself in the material covered in the DVDs, work with some of it in the application for a while, then return and re-run the tutorials will give you a sound sense of how the software can work. You’ll certainly have covered all the ground you need to by the end; but perhaps not in the most logical of sequences. The beginners’ DVD, Logic Pro 9, is particularly good at addressing those aspects of the software which have changed since version 8. It covers setting Logic 9 up; recording both audio and MIDI; techniques for arranging and mixing; export and bouncing. The whole video lasts nearly four hours and covers a lot of ground. The Advanced DVD is great for synthesizers and plug-ins. But since, again, you may well use a technique like automation a day or two into your work with the software — or conversely manage to avoid, say, something as simple as track renaming until you’ve been at it for a year — the best approach is to accept that you’ll probably want to work your way through either, both or all three of these resources from Hal Leonard in order to feel you’ve got the most out of them. This is not really true for any other of the products examined. In their cases, there’s either an index, named chapters, tables of contents or a more granular break down of topics covered which make picking and choosing easier. The pace of these DVDs is good. Summarizing tips and reinforcement data such as keystroke equivalents and procedure reminders etc appear in an easy-to-read strap in the window. Although the sound of the commentary is a little “hissy”, the resolution and general quality of the video and way the Logic screen is zoomed, highlighted and inset with the presenter’s face (although most of the time he’s looking at his own screen) generally make for a clean yet flexible experience. As in the other online video tutorials looked at here, you’re told ahead of time in these from Hal Leonard what you’re going to learn, and reminded of it in a summary at the end. They’re divided into chapters corresponding to the segments of instruction. Or you can play the entire sequence in one go. Power Tools for Logic Pro 9 (9781423443452) is a dual medium pack… book with DVD. It’s ostensibly aimed at advanced users; in fact there’s much material with which even a relatively new user will be familiar. At nearly 300 pages, the book is divided into seven main chapters dealing with the basics of sound and signals (about 7% of the book’s substance); the way Logic’s windows interact (14%); ways to streamline your workflow (7%); a sample project from beginning to end (10%); production and mixing (18%); some advanced techniques such as Flex, adjusting tempo and Quick-Swipe comping (26%); and mixing (18%). Each chapter sets the scene, contains some “power tips”, keyboard shortcuts and a summary. Although the aim seems to be to present useful shortcuts, walk the reader through oft-used routines and correct common mistakes, and although well indexed, it’s a useful reference source for Logic‘s features, it falls between two stools: tutorial and “Tools and Tips”. The DVD for Power Tools for Logic Pro 9 has 14 QuickTime movies lasting a few minutes each. These don’t really correspond to the material covered in the book. Its presenters, Roy Burns and David Hewitt (supported by the book’s author, Rick Silva), are confident and for the most part clear in their explanations and expositions. But they seem more intent on advising the user of Logic‘s selling points than leading us through a reasoned path to making the most of the software. There are five sets of products reviewed here. Which is most appropriate for you? If you’re a relative beginner with unlimited resources, start with the Groove 3 videos and perhaps the immersion of the Hal Leonard DVD, Logic Pro 9, (9781423475644). 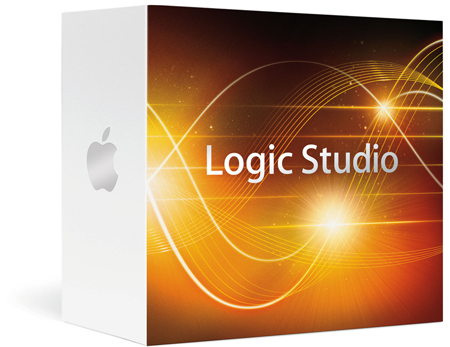 Be prepared to return to either/both of these as you become competent and familiar enough with Logic 9 to make the most of the Apple Pro Training series: ideally read Logic Pro 9 and Logic Express 9 (David Nahmani, 978-0-321-63680-5) before Logic Pro 9 Advanced Music Production (9780321647450). Keep Logic Pro 9 Tips and Tricks (9781906005153) on hand as you go. And don’t forget Logic 9 use: Logic Pro 9 Power! and Logic Pro 9: Audio and Music Production. Use those more precisely-targeted and advanced Groove 3 videos and Going Pro with Logic Pro 9 (9781435455634) when you need advice on any of the specific topics that they cover. Please bookmark this review: as other resources are released, we plan to cover them in the months to come.